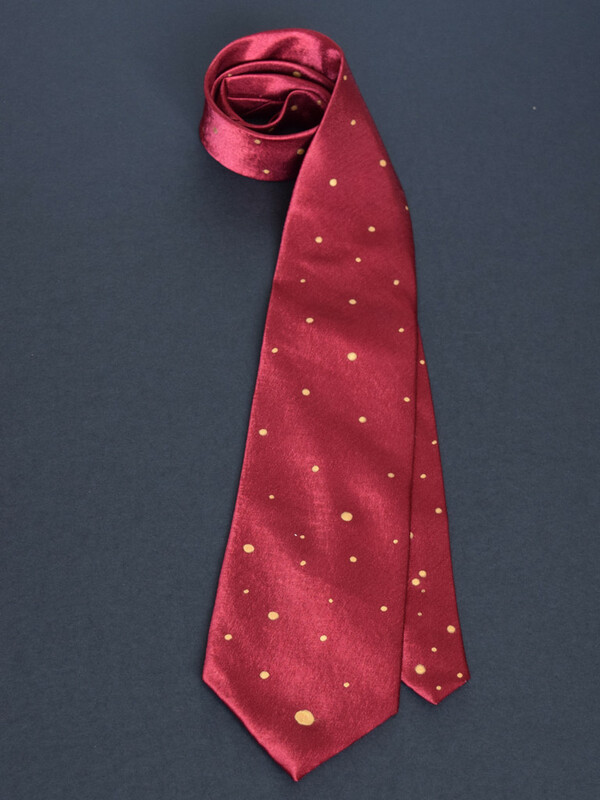 View cart “Dotted Maroon Necktie” has been added to your cart. 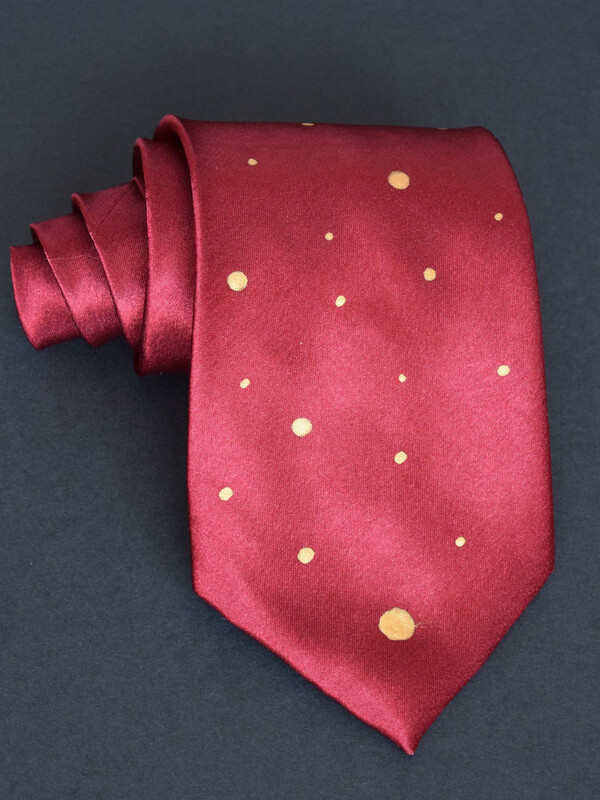 – hand painted gold dot tie. 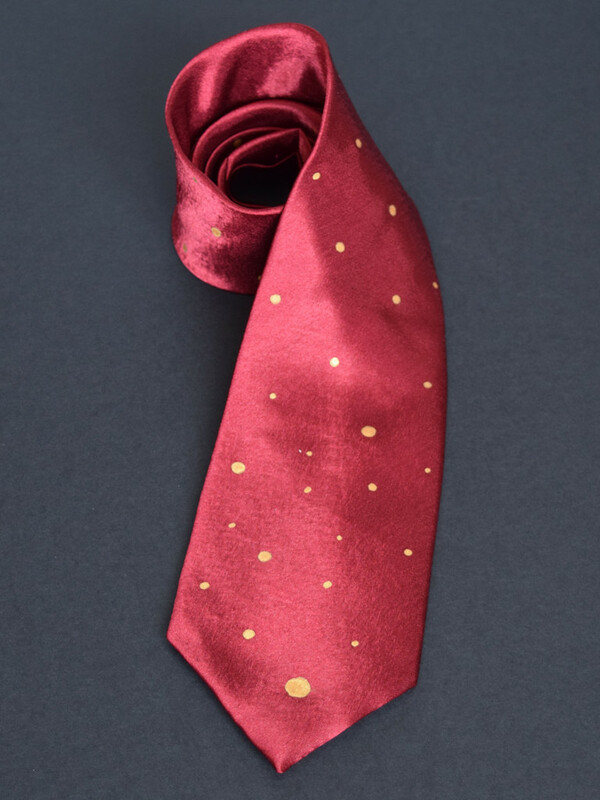 – cranberry red tie with gold polka dots. Don’t see the kind of tie you want? Write me at ritzysilk@gmail.com and we can work on a custom order just for your special person or occasion. Lovely tie! Very happy with this purchase and the customer service from Elizabeth.